From sliding automatic doors to revolving doors, choosing the right entrance to your building can lead to dramatic benefits. That’s why Southern Ohio Door Controls in Cleves, OH, offers expert advice on different types available to you. From door installation to repair, this company is always happy to help customers. 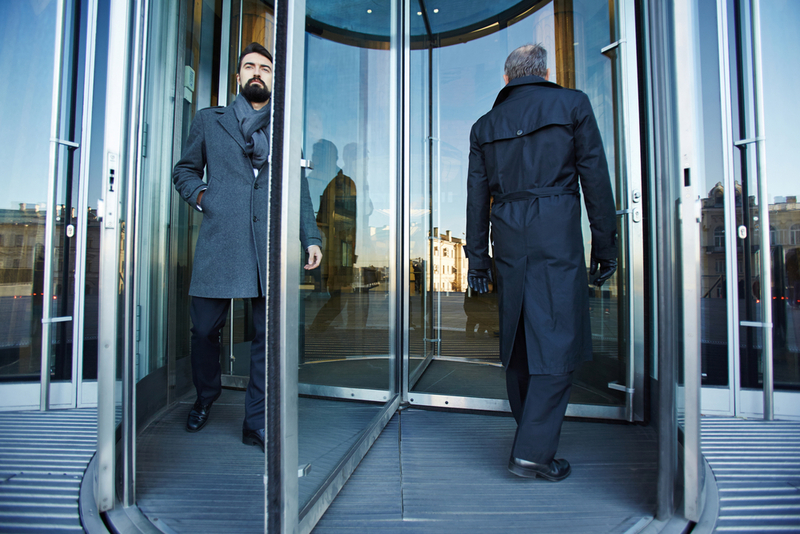 To assist you in determining if revolving doors are ideal for you, they’ve put together a quick guide. Typical manual doors and sliding models allow significant amounts of air to escape from the building. This is because of the large opening they create. Revolving doors, however, remain mostly sealed and create much smaller gaps. As a result, air conditioned air in the hot summer months, as well as warm air during the winter, can remain inside the building. Because of this, companies enjoy huge savings on their energy costs. Some buildings with revolving doors are high-traffic areas that also have elevators. When sliding doors are incorporated in a design alongside elevator shafts, it can pose a problem. Drafts channel their way through the door’s wide opening and up the shaft. This can cause issues for companies within the building, such as a breeze that blows around paper and other supplies. Revolving doors help to avoid these nuisances. Because they’re more consistently sealed and create minimal gaps, gusts of wind can’t pass through with as much ease. With manual doors, people must take turns moving in or out of a building. They also have to filter in slowly, causing a traffic bottleneck. Luckily, revolving models can alleviate this, allowing a constant stream in or out. Also, these doors do not require someone to open them, which makes the building more accessible for individuals who use crutches or wheelchairs for mobility. Whether you’re interested in revolving doors for your building, or require a repair job for an existing model, the team at Southern Ohio Door Controls can assist you. Their revolving doors are streamlined and can help you save money, prevent drafts, and improve access to your building. If you have any questions, simply give them a call at (513) 353-4793 or visit them online. What Types of Sensors Control Automatic Doors?